It has never been easier to take up running. A series of timed 5K runs called parkrun take place in parks across the UK, every Saturday morning at 9am, all year round. parkruns are suitable for any ability and both new beginners and recreational runners join every week. Junior parkruns (2K) take place every Sunday at 9am. Cromhall (a closed event at Leyhill Prison). Parkruns are hugely popular and are managed entirely by local volunteers. New volunteers are always welcome and training is given while at the event. Check the events page of parkrun to register and find out more. For information about other volunteering opportunities n South Gloucestershire, visit our volunteer page. RunTogether is an official England Athletics recreational running project, encouraging more people to run, and to run more often on their way to running fitness. All groups are supervised by qualified and approachable leaders – you may wish to contact the group leader first for a friendly chat. Enter your postcode and search for a group on the RunTogether website. Please be advised that costs may apply for some of the above groups. If you are interesting in qualifying as a run leader and volunteering to help other people run, you can learn more from the England Athletics website. 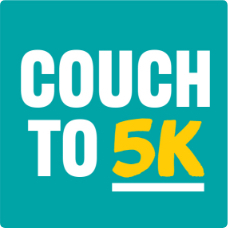 Try the ‘couch to 5K’ running plan for beginners – a week-by-week description of the 9-week set of Couch to 5K podcasts. Each week involves 3 runs and you can download each week as a podcast.